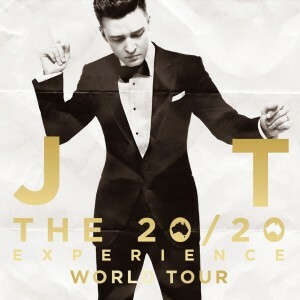 Well the gang at Live Nation certainly knows how to make an impact first thing on a Monday morning, revealing that pop superstar Justin Timberlake will tour Australia in September. The local leg of the singer’s ‘The 20/20 Experience Tour’ currently comprises five shows, but with an ocean of space between each one, there’s every opportunity for more dates to be added in the months ahead. The visit will kick off in arena mode at Melbourne’s Etihad Stadium on Thursday September 18 before visiting Adelaide, Brisbane, Sydney and Perth. And tickets… well pre-sale for Justin’s fan club kicks off tomorrow, with general public tickets on the sales desk from 9am this Friday. Live Nation are getting absolutely psychotic with their pricing.